A great deal has been reported from the Rolex Fastnet Race about Rambler 100’s keel breakage, her subsequent capsize and the recovery of her 21 crew, including George David, who has chartered the supermaxi from Alex Jackson, his partner Wendy Touton, plus the plethora of top international sailors in her crew. To recap – Rambler 100’s start to the Rolex Fastnet Race had been relatively painful after a winch gave way causing their J2 headsail to flog to death. They hoisted the J4 in its place as the crew worked through the first night to repair the damaged sail. With this back up Rambler finally overhauled Mike Slade’s ICAP Leopard crossing the Celtic Sea en route to the Fastnet Rock which they rounded at 16:25 GMT on the Monday afternoon, the first monohull to reach it. Once around, Rambler 100 hardened up to head SSW to the Pantaenius offset mark upwind with 29 minutes on port and 6 on starboard. At the time they were sailing upwind at 14 knots, under J4 with one reef in the main. Visibility was moderate – around 0.5 mile. While the wind was by no means excessive – prior to the Fastnet Race, Rambler 100 had just completed the Transatlantic Race 2011 – but close to the continental shelf, to the south of the Fastnet Rock the sea was short and sharp. One of the slams proved to be the match that broke the camel’s back as Rambler 100 emanated an enormous BANG. Many of the crew reported looking up and within a split second of seeing the rig was intact, realised it was the canting keel that must have gone. The incident occurred at 1643 GMT and according to crew accounts Rambler 100 rounded up slightly before falling on to her side within 30 seconds and, held up briefly by her mast and sail, fully turned turtle after about another minute. Thankfully having just rounded the Rock the majority of her 21 crew were on deck. The crew for the Rolex Fastnet Race comprised: George David, Wendy Touton, Scott Eavis, Justin Clougher, Tim Dawson, Jan Dekker, Joe Fanelli, Mick Harvey, Christopher Higgins, Nathan Hislop, Peter Isler, Jerome Kirby, Kyle Lyman, Duncan Maitland, Mike Mottl, David Petersen, Andrew Taylor, Michael van Beuren, Erle Williams, Stu Wilson and Bob Wylie. Five were down below in their bunks - Mick Harvey, Michael van Beuren, Duncan Maitland, Scott Beavis and Nathan Hislop. As the boat had capsized so, navigator Peter Isler got off a MayDay on VHF Channel 16, but by this time Rambler 100 was on her side and the MayDay wasn’t heard (or responded to). He issued most of another MayDay via a handheld VHF, but this transmission is unlikely to have made it through Rambler 100's carbon fibre hull. Both Isler and Mick Harvey also activated their 406 MHz PLBs. Justin Clougher (right) had also gone down below to stow his video camera and was sitting to leeward. He recalled after hearing the BANG: “I knew there were guys below, so we did a lot of yelling to get guys out of bunks.” Meanwhile with the boat on its side Jerry Kirby was in the companionway helping haul out those who were down below. Andrew Taylor was already down to leeward where he had been trimming the jib when the keel broke. Some crew plummeted from the rail straight into the water, others on the rail managed to hang on to the lifelines which duly broke under the strain - anticipating the boat’s full inversion, they dropped into the water or on to the mainsail or boom and got away from the boat as quickly as possible so that it wouldn’t fall over on top of them. However staying in the vicinity of the slippery hull wasn't easy, as Peter Isler recalls: "The waves were about 2m max, so it was not super rough, but the boat isn’t going up and down bobbing on every wave. So when you are in the water it is a bit like hanging on to a rocky shoreline in 6ft waves – it is hard, the sea level is going up and down and the water is going under and then exiting out with a rush with all weird water flow with the waves under the cockpit. She was a bucking bronco to hang on to." 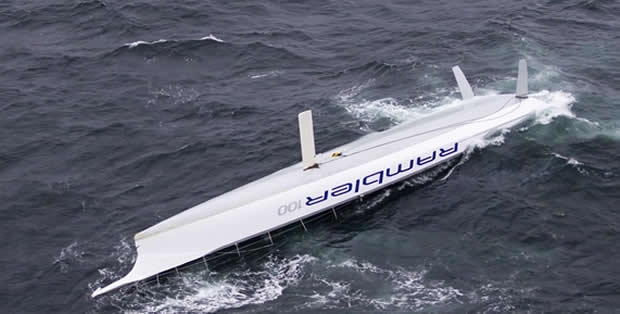 With the boat capsized and the crew mostly in the water, the liferaft valises were not accessible from the rear of the boat but in particular they weren't designed to be opened upside down. As Peter Isler explained: "We would have had to float them somehow – because they are buoyant. We would have to get the clamshell open, and then pull them down against floatation force below the level of the lifeline to get them out. It would have been a superhuman effort to do that. They would been basically pinned in there." Justin Clougher, an ex-EF Language and Pirates of the Caribbean round the world veteran, made the choice not to put on his lifejacket until he was clear of the boat. On getting out from down below he had clambered forward, his plan being to climb up on to the hull via the shroud, but the boat turned turtle too quickly. “I had my lifejacket crooked over my arm at that stage. I had unbuckled it because I didn’t want to get pinned under the boat with my lifejacket. I couldn’t recall if the pill was out. I didn’t want the lifejacket to auto-inflate if I got anywhere close to being under the boat.” He only inflated his lifejacket when he was in the water at the stern of the boat. Jerry Kirby felt that the crew had been extremely fortunate that all those who had been on deck at the time of the keel break had been wearing their lifejackets. “If we hadn’t had the life preservers on we would have had a massive loss of life. Everyone had a life preserver on and that is the only reason we’re all here,” he said. Three crew - Bob Wylie, Chris Higgings and David Petersen - anticipating the boat turning turtle, were poised on the (very) high side and managed to clamber straight over on to the upturned hull as it inverted, without getting wet. Those in the water were able to throw some lines up to them which they tied off around the rudder giving them something to hang on to. Several crew observed that if the trio hadn’t made it up there from the outset, then subsequently hauling the rest of crew out of the water would have been very hard. As Peter Isler put it - had no one made it up on to the hull "one person would have had to make a super human jump and we would have had to have done some pushing." The Rambler crew comprises fit professional sailors and yet even they struggled to clamber on to the slippery upturned hull. Isler: "As it was it took pulling and pushing to get everyone up. We would have lost valuable time there – it was hard to hang on to the transom or near the transom, because it was so rough. If they hadn’t got up there, we would have lost time and maybe one or two more guys would have floated away." Once the crew was on the upturned hull they set up a line to hold on to, secured between the lowered daggerboard and one of the rudders. Over the course of around 45 minutes, 16 of the crew managed to clamber out on to the hull via the stern, but alarmingly a group of five – George David, Wendy Touton, Stu Wilson, Mike Mottl and Joe Fanelli drifted away and were unable to make it back to the boat. Of these Joe Fanelli was perhaps the ideal person to be adrift in the water with, being a San Diego-based US Coastguard of some 24 years experience. “I swam over to the group because I saw George and Wendy and I saw George’s lifejacket hadn’t opened up all the way,” described Fanelli. “In fact Mike Mottl’s didn’t open up and mine didn’t open up completely either. My first instinct was to get those guys and start towing them back to the boat, or if someone could get a line to us. The drift of the five was different to the boat which was anchored to her position her rig and sails acting as drogues. Sea survival wisdom specifies that if a number of people are in the water, they are better off being in a group. There are many reasons for this: They will be easier to locate, they will be able to keep each other’s spirits up and by huddling together they can also help each other to keep warm. Having rounded the Fastnet Rock 26 minutes astern of Rambler 100, ICAP Leopard did indeed pass by, within half a mile of Rambler’s position. However as ICAP Leopard’s navigator Hugh Agnew pointed out, in that intervening period there had been a 10 degree windshift to the right, hence why Leopard didn’t run straight into Rambler’s upturned hull. Following their rounding of the Rock their call to the mark ended up being 25 minutes on port, 15 on starboard. Leopard’s crew spotted neither the five Rambler crew in the water nor the white hull of the upturned maxi. This was not surprising –the visibility was not good, they were going upwind into 25-30 knots with spray constantly flying around the deck and at that point the rescue authorities hadn’t even received notification of the 406 MHz EPIRB alert. In short no one was aware of Rambler’s plight. Leopard was followed around the Rock just five minutes later by the first Volvo Open 70s Groupama 4 and Abu Dhabi, and then by the leading IMOCA 60s. It is believed that Alex Thomson’s IMOCA 60 Hugo Boss, which rounded the Rock at 1848 GMT, was the first Rolex Fastnet Race boat to get involved in the search for the missing crew. The five in the water were fortunate that in August the water temperature was a relatively high 14°C. Research shows that a human being’s survival time in these water temperatures is typically 1-6 hours. For the person in the water there is delicate balancing act – swimming to safety (or even treading water) which lowers body heat and reduces survival time in the water, or floating on your back and conserving warmth and energy. The crew were wearing spray tops with a watertight neoprene neck seal and this may have helped trap water (like a wet suit does), or at least reduce the throughput of cold water. However Fanelli says that their garments typically received a sluicing whenever they took a wave. Fanelli says that in their group they were attempting to keep their backs to the waves, but were constantly being spun around by them. Most had their spray hoods down, covering their faces, although Mike Mottl said he didn’t feel so good about this and was wearing a cap that was helping to keep the waves off his face.